By this point the sky was getting cloudier and I could already feel the temperature dropping. Once we set out again, until we arrived back on land, I completely lost track of time. I couldn’t tell you how long it was between the time we set out again and when we saw our first whale, or until we saw him again, or until we saw the next one. But I can tell you that the first moment I saw a humpback whale appear out of the water, I almost burst into tears. I didn’t expect that reaction at all! The moment was so brief, but so powerful. 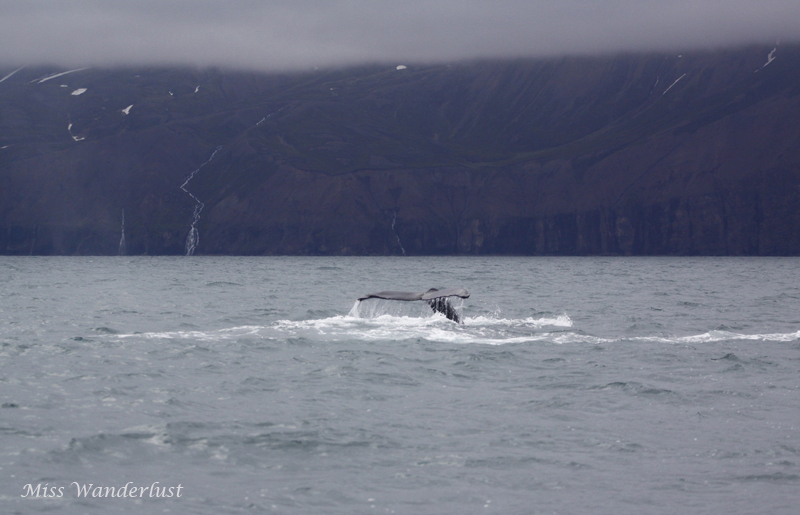 We continued to follow the humpback for a while and spotted it a couple more times. 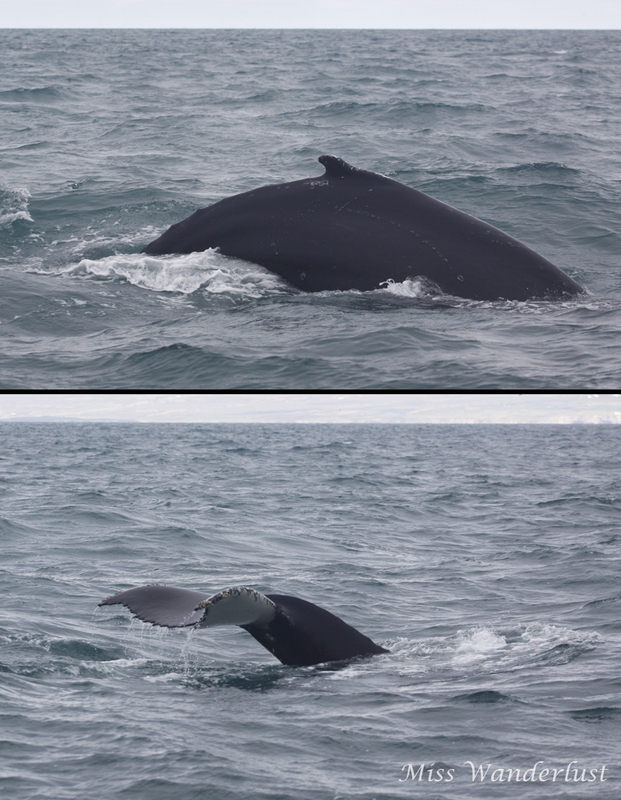 Later on we also spotted a smaller minke whale. Although I was excited about the experience, the longer we were on the boat, the worse I felt. As I’ve mentioned elsewhere, I don’t do well on boats, so this is not a reflection of the tour company. I can admit that I don’t have a very good sense of direction, so I was getting quite dizzy and disoriented. And, even though we were wearing the big warm overalls, with the wind and cloud cover factored in, it felt like -15C. At some point on this excursion, I was the furthest north I have ever been, close enough to say I was just shy of the Arctic Circle – only 19km, or 66.67187N, according to the GPS on my camera. I was huddling into myself, trying to keep warm, only jumping up (and trying not to fall overboard) when a whale was spotted. 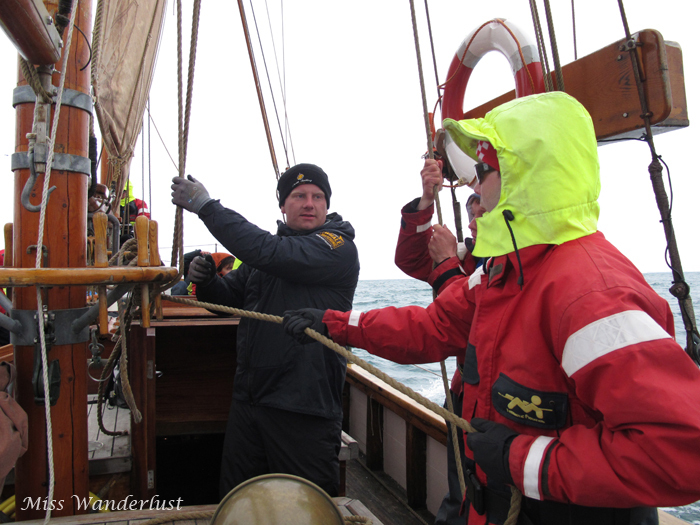 As we started to approach land, the crew cut the engine and hiked up the sails, and then came around with a thermos of hot chocolate and cookies for everyone, which I devoured. There was the option of adding a nip of rum to warm up, but I had to pass. My husband Dave helping raise the sails. Once on land, we ate a simple dinner of fish and chips from a place on the harbour aptly called Fish & Chips. 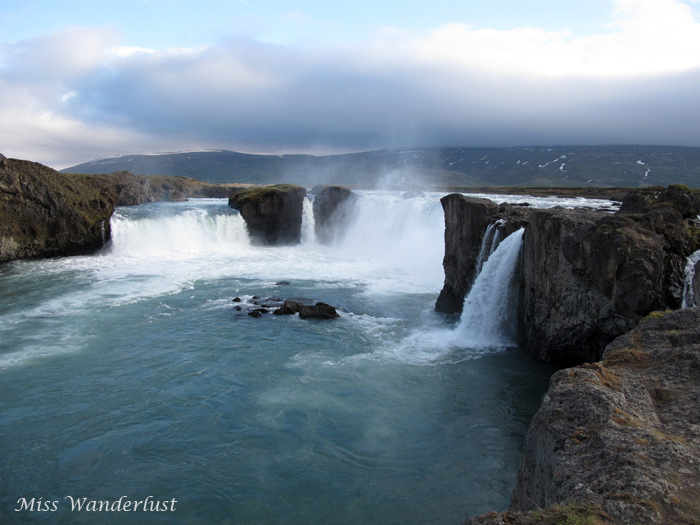 We hit the road to Hvammstangi, only stopping at the stunning waterfall Goðafoss, which means waterfall of the gods, along the way. We had been there a few days previously, and even though it was crowded with tour buses and oversized strollers, we instantly fell in love with it. This time we had it all to ourselves, and it was incredible. One of those little moments that travel gives you that you can never plan for. I dozed in the car on and off, and we finally arrived at our guesthouse at 22:30. I fell into one of the three single beds and slept until morning. Hvammstangi gave us another one of those little travel treasures the next morning. As we had been approaching, we kept seeing signs saying that it was the ‘seal capital of Iceland’. Dave and I went to the seal centre, right beside the water, to get info on how and where we might glimpse seals. We talked to the nice lady for a few minutes, while her husband and two cute little kids were hanging out. When we went back outside, they were standing very close to the water, pointing out. There were a ton of birds hovering over one spot in the water. When birds do this, it is a tell tale sign that a whale is nearby, because that is where the whale is looking for food, so there will be food for the birds, too. 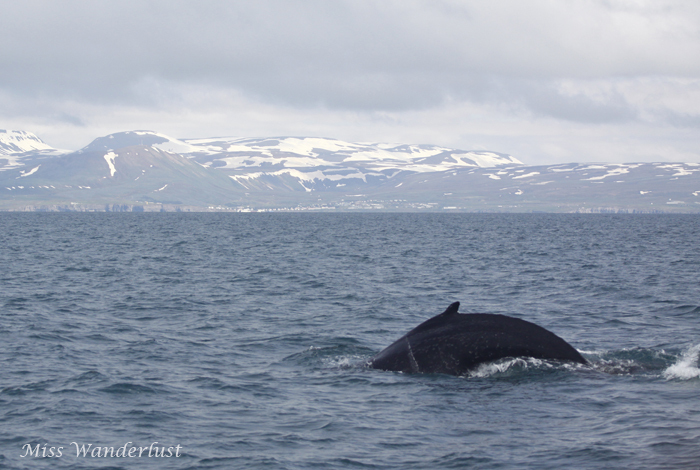 All of a sudden, there it was – another humpback! The sky was clear and bright, the air was crisp, and there were only four other people around. Another perfect moment in Iceland. Aw the puffins are so cute!! 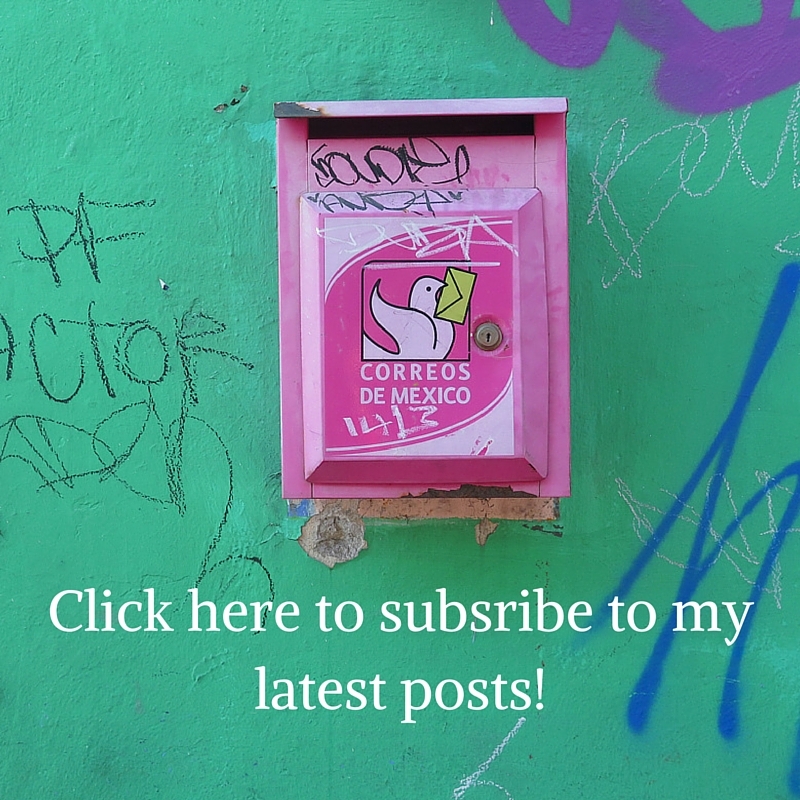 Another excellent piece of writing and awesome photos. This was so beautifully written. I couldn’t help but burst into tears as I read your reaction to seeing your first whale! Thank you for sharing & for the wonderful pictures to go along with the story 🙂 Loved it!!!! Both the writing and the photos are very impressive. Always enjoy keeping up with your travels. Lennox listened intently as I read your story out loud, it was a great read…almost felt as if I were there! !